The Xe-Don River in Pakse, Laos flows into the Mekong. You can see where the two rivers join in the back of the photo. 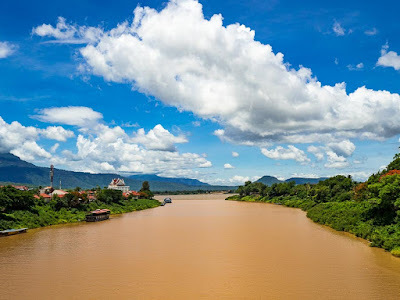 The Mekong is the darker shade of brown. Last year at this time I was in southern Laos photographing the fishermen on Don Khone in the area known as "Four Thousand Islands." 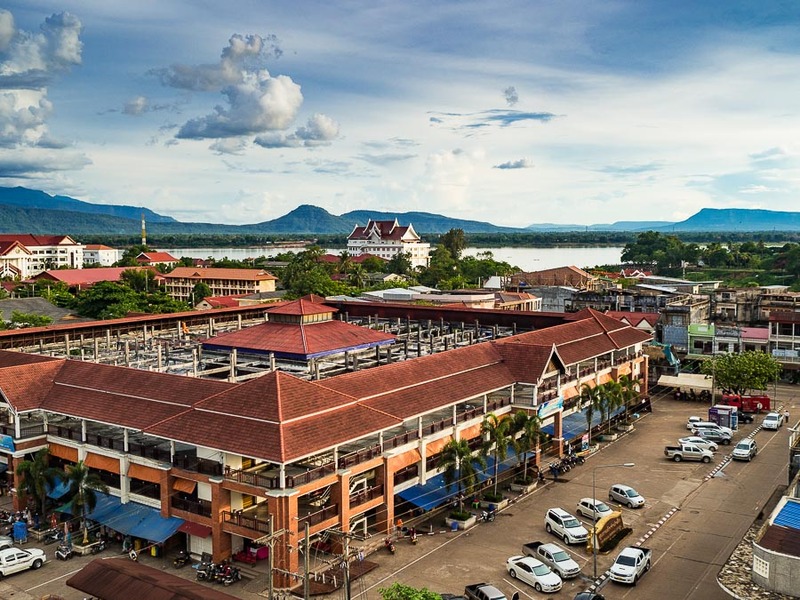 Pakse, a colonial town at the confluence of the Xe-Don and Mekong Rivers, is the gateway to Four Thousand Islands and a worthwhile destination in its own right. A woman sells baguettes in the market in Pakse. 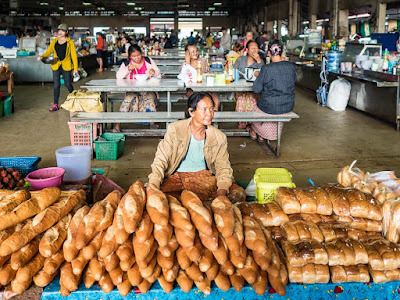 Lao food (especially from this part of Laos) is very similar to Thai food but Thailand doesn't have baguettes like this. French colonials left behind their bread. Tourists don't usually spend too much time in Pakse, and it's their loss. There's a very nice morning tak bat, which is not over run by tourists (when I photographed it last year, I was the only non Lao person I saw on the street at that early hour). There are a couple of nice markets, one in the center of a town and another a few kilometers from town. 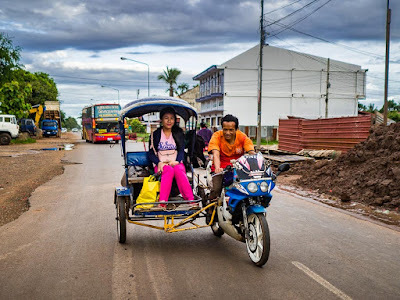 There aren't many taxis in Pakse but there are lots of tuk tuks. In this case passenger bench seats bolted onto motorcycles. 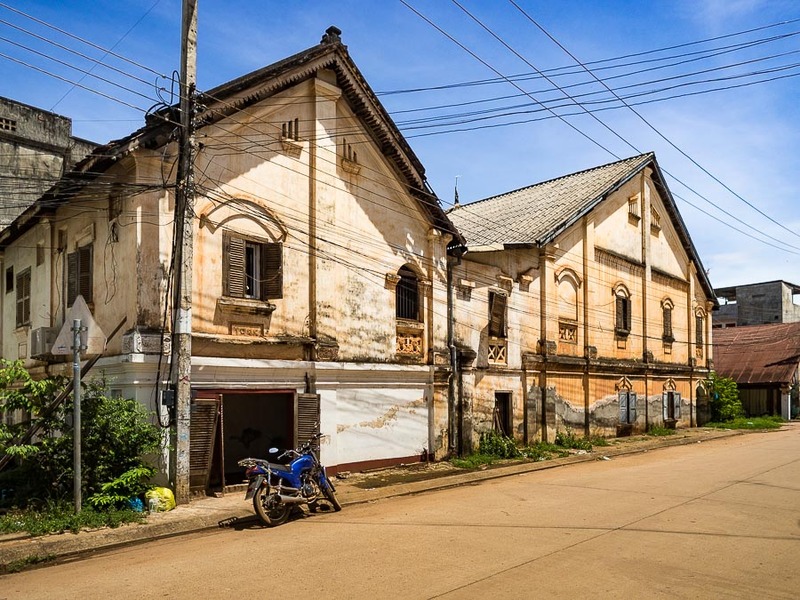 The downtown area wasn't heavily bombed during the American War and most of the colonial architecture is intact. It's relatively compact, making it easy to walk around to see the sites. A good selection of colonial architecture survived the American War. The new market in the center of town. The Mekong River is in the background. Not too many local people shop in this market, it seems to be aimed at tourists. 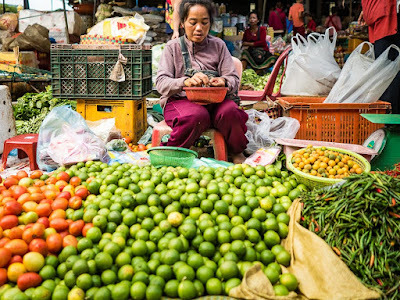 The markets, especially the one outside of downtown, are jammed with local people doing their shopping and it's a great place to see some of the bounty of the Lao countryside and Mekong River. In town, in addition to the colonial era buildings, the temples are very nice. The people in this part of Laos are very closely related to the Isaan people of Thailand. The share the same language, religion and culture. So if you speak Isaan Thai (or you're learning to speak Isaan Thai) you can practice it in Pakse. Produce for sale in the Pakse market. 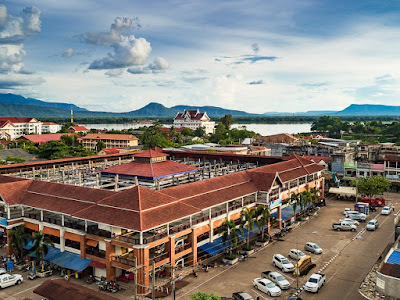 I'm glad I went to Pakse and 4,000 Islands when I did. My main purpose in going was to photograph the fishermen on Don Khone and 2016 was the last year they were allowed to set out their fish traps in the Mekong. There are more photos of Pakse and 4,000 Islands in my archive.